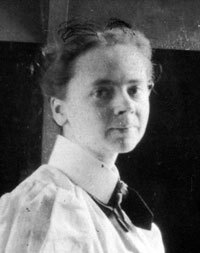 “Small but mighty” is an apt description of California’s premier woman architect, Julia Morgan (1872-1957). She stood only 5’ tall, but her stature as an engineer and architect puts her among the giants of the 20th century. An intensely private person, her profession was her life. After hard-fought acceptance, she became the first female graduate of the Ecole des Beaux-Arts in Paris. Her determination and strength of character would be essential in working with her most famous client, William Randolph Hearst, and her most famous project, San Simeon. Morgan also designed the “Little Castle,” the Berkeley Women’s City Club - a beautiful mélange of Moorish, Gothic and Romanesque elements. Hearst’s mother, Phoebe Apperson Hearst, chose Morgan to design many buildings for the women’s organizations of which she was a major patron. Asilomar, the YWCA camp Morgan designed in Pacific Grove, is a California State Monument and perhaps the most prominent Arts & Crafts compound in the country. In her lifetime Morgan designed and saw built over 700 structures, including over 100 single-family homes in Berkeley alone. She was skilled in many styles, ranging from the brownshingles so characteristic of Berkeley, to formal classical structures and numerous revival buildings. Her homes in the styles of the Arts & Crafts movement rank with the best of her contemporaries. She was awarded the 2014 Gold Medal of the AIA, the American Institute of Architects, the first woman to receive this highly prestigious award in the 106 years of its history, and only the eighth award to be made posthumously. To read more about the circumstances of Ms. Morgan receiving this award, read this article from SFGate.